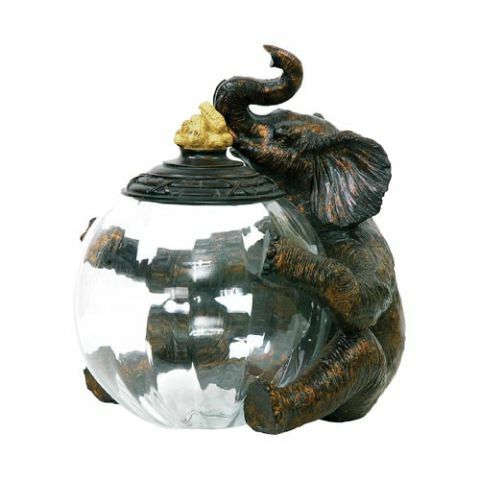 Everyone has something they want to keep in a jar and this adorable Elephant Jar Keeper will do the job with flair. From cookies to spare change, with the clear glass jar you will always know how much (or many) you have. Not only that, you have an elephant keeping an eye on it all. The elegant design will complement just about any decor, and yet add a whimsical touch. This cute pachyderm is at home in any room in the house. From cottonballs in the bathroom to paper clips in the study you will love this jar. For more information or to order, click here.